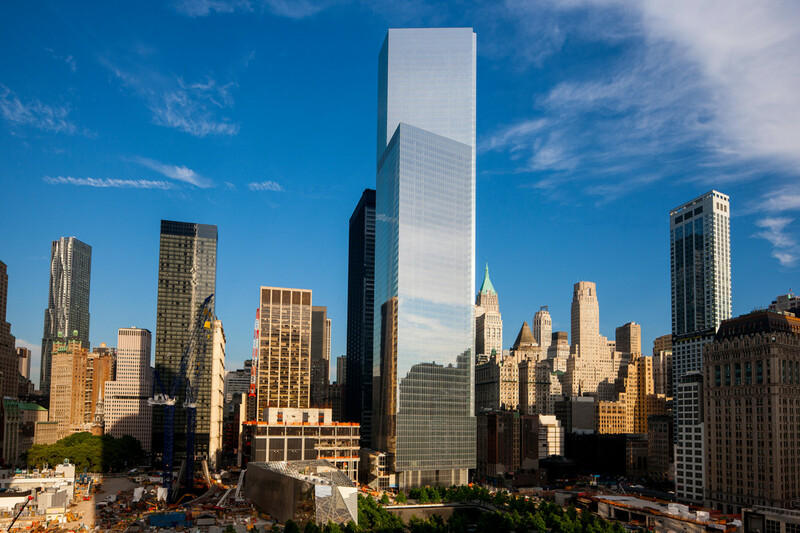 Silverstein Properties chairman Larry Silverstein announced that the company has signed a lease with Hudson River Trading (HRT), a pioneer in the fintech industry, for 69,000 s/f of office space at 4 World Trade Center. Founded in 2002, HRT develops automated trading algorithms using advanced mathematical and statistical modeling techniques in an extremely high-performance computing environment. With offices in New York, London and Singapore, HRT trades equities, futures, options, currencies and fixed income on over 50 markets worldwide. HRT, which is currently located at 32 Old Slip, will move its headquarters to the 57th and 58th floors of 4 World Trade Center in Spring 2017. Included in the lease is a 5,000 s/f outdoor terrace which was made possible by the 57th floor setback of the Fumihiko Maki designed tower. HRT will now have sole access to the space, which is already famous for its panoramic views of New York Harbor and the Midtown skyline, and has been used as a location for movie shoots, television commercials, concerts and events. Jeremy Moss, Director of World Trade Center Leasing for Silverstein Properties, led the negotiations for the landlord, together with the CBRE agency team including Mary Ann Tighe, Steven Siegel, Adam Foster, Steve Eynon, Evan Haskell, David Caperna, Ken Meyerson and Rob Hill. Hudson River Trading was represented by Sacha Zarba, Chris Corrinet and Christopher Hogan of CBRE. HRT has also hired Gensler Architects to design its space. The 977 foot building contains 2.3 million s/f spread over 56 office floors. Tenants include MediaMath, SNY, Hudson River Trading, Silver Suites Offices, Morningstar, PadillaCRT, Syntactx, Dixon Hughes Goodman, Port Authority of New York & New Jersey, and City of New York.